We have all heard of the legend of Atlantis, Mu and other great cities or continent’s that have been lost to time and the ocean. Even though that these legendary cities have not been found to date, the possibility of their existence still remains in the minds and hopes of millions worldwide. But Atlantis and Mu are not the only victims of rising water levels. There are many other submerged cities that have been devoured by Earth’s ocean. Every single one of those submerged cities has its beauties, mysteries and legends. 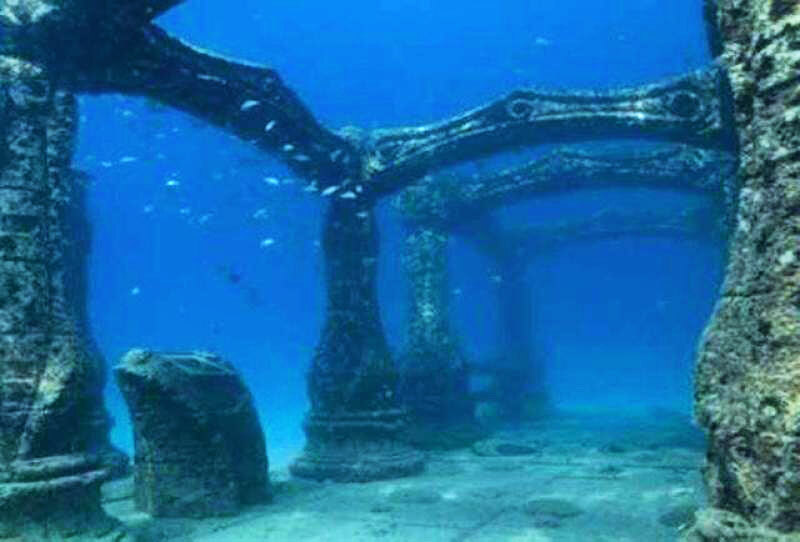 Here we bring you 5 incredible underwater cities that have been found recently. Some of these cities were believed to be only a myth, up until they were found and the myth became a reality. Is it possible that we will find Atlantis anytime soon? A long time ago, this ancient city was one of the most important places for pirates where they could enjoy alcohol, prostitutes and parties. Port Royal was referred to as the most devilish and sinful city in the world. That is, all the way until June of 1962 when a massive Earthquake measuring 7.5 on the Richter scale shook the island of Jamaica sinking Port Royal and killing over 200 of its inhabitants. Was the earthquake a terrible accident caused by mother nature or revenge from the “gods” for all the sins committed on the island? Ever since the city sank in 1962, hundreds of artifacts have been discovered from its resting place. 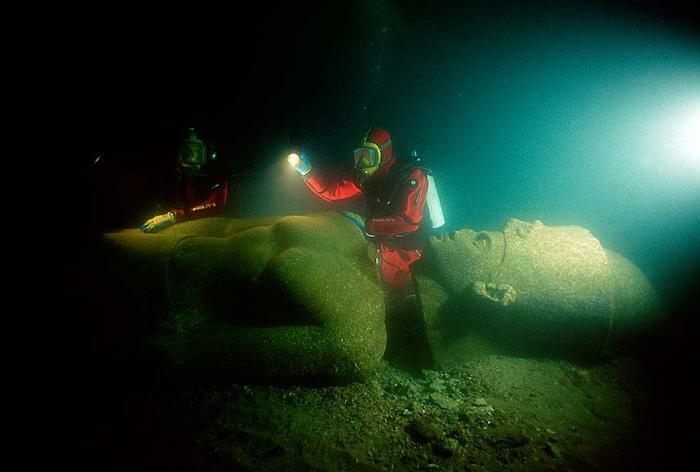 This submerged city attracts many divers and underwater archaeologists. 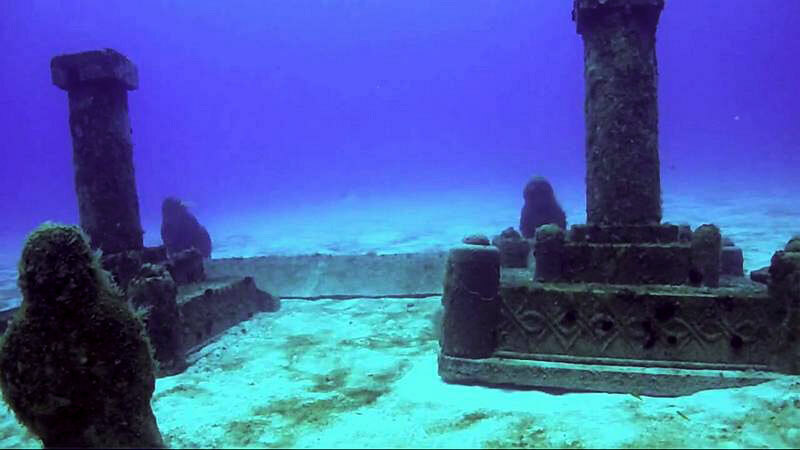 Ever since the discovery of the underwater complex, experts have not stopped the discussing whether the Yonaguni Monuments, located off the coast of Japan are natural formations or man-made structures. Even though that some suggest these “mysterious structures” are the result of mother nature, perfectly shaped terraces with straight lines and perfect angles suggest that these structures are anything but natural formations. 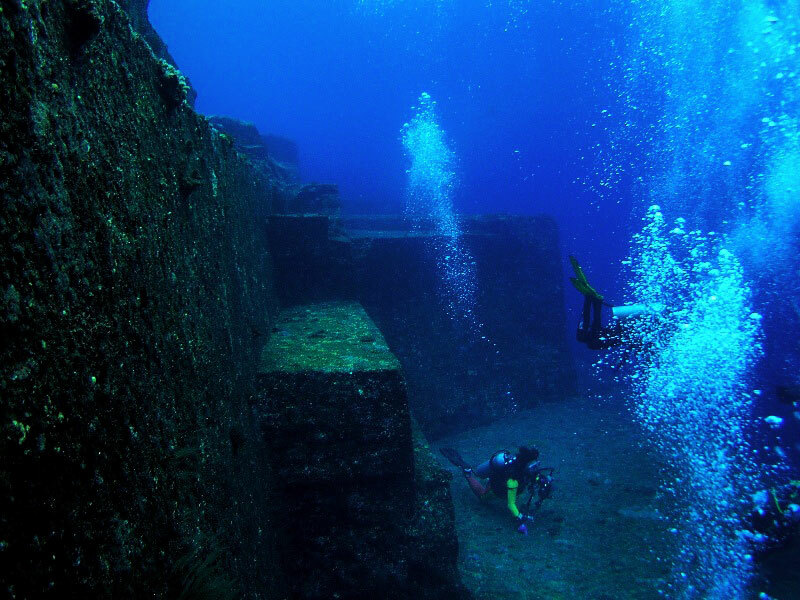 The underwater complex of Yonaguni even has a pyramid with a height of 250 feet. According to experts, these “structures” date back to about 10,000 BC. This ancient city that once belonged to the Great King Krishna was believed to be only a myth until it ruins were found not long ago. According to legend King Krishna had a magnificent city with 70,000 palaces made out of gold, silver and other precious metals. It was an extremely wealthy and important city that sank after the death of King Krishna. The ruins were found 131 feet below the surface of the sea in the Bay of modern-day Dwarka, one of the seven oldest cities of India. Archaeologists have recovered numerous artifacts from the site, but one of them is believed to be more important than all of the remaining since it is believed to date back to 7500 BC, supporting the theory of the existence of this “mythological” ancient city. It is believed to be one of the most spectacular submerged cities in the world. This ancient city was built during the Han Dynasty having a total area of 62 soccer fields . today this incredible city can be found at around 130 feet below the surface of Lake Qiandao. The area was deliberately flooded in 1960 in order to create a dam. The sculpture that decorates the city rivals the beauty of Alexandria in Egypt. 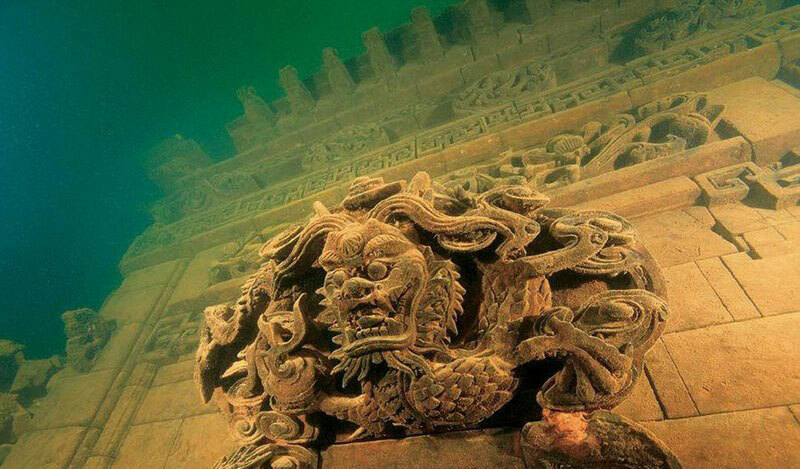 This submerged city is one of the most popular tourist attractions in China. It was believed to be a mythical city, until of course it was actually discovered. Some believe that its discovery changed history as we know it forever. The ancient city of Heraklion was known to many ancient Greek philosophers, among them Herodotus, who referred to this ancient city in numerous of his writings, although the existence of this city wasn’t proven until the nineteenth century. With the discovery of Heraklion, countless enigmas were solved and we managed to learn so much more about our past through this ancient city. As most of the incredible discoveries, this too was made by accident when marine archaeologist Franck Goddio was looking for warships that sank during the Battle of the Nile in 1798 that belonged to Napoleon along the coast of Alexandria, and just when he thought that there was nothing down there, he came across one of the most important discoveries a marine archaeologist can make. Among the Egyptians and Greek, the city was referred to as Heraklion Thonis. It was believed to have been a prosperous empire between the seventh century BC and the eighth century AD. The location of the city was just off the coast of Alexandria in the Aboukir Bay. Which is you favorite submerged ancient city?